The style of football John Fox has brought to the Denver Broncos is nothing new in the NFL, although some analysts may think so. Since second year quarterback Tim Tebow took control of the offense, the Broncos have become a ground and pound team — ranking first in the league in rushing and getting after opposing quarterbacks on defense. Successfully operating a run heavy, option oriented offense, quarterback Tim Tebow has taken criticism for only completing 45.5% of his passes. Some have questioned how far the Broncos rushing attack and formidable defense can take them, pointing out that all the "contenders" in the NFL have a talented throwing franchise quarterback. Fox however, has won before using the same formula Denver has installed. "It&apos;s a proven formula in this league," said Fox on Monday. "It just takes awhile to implement." In 2003, Fox was a second-year head coach of the Carolina Panthers and took the team deep into the post season using the same philosophy he has installed in Denver. That season, the Panthers scored 20.3 points per game and rushed for 2,091 yards. The Panthers quarterback, Jake Delhomme, completed 59.2% of his passes that season and turned the ball over 22 times yet still managed to lead the team to an 11-5 record due to a consistent rushing attack and reliable defense. The Panthers made it all the way to Super Bowl in 2003, only to lose 32-29 in overtime to the New England Patriots. This season, since quarterback Tim Tebow was named the starter, the Broncos have scored 19.3 points per game and rushed for 1,248 yards. Tebow meanwhile has only completed 47.1% of his passes but has also only turned the ball over twice — twenty times less than Delhomme, albeit in fewer games; Tebow has done a great job of protecting the football this season. In order to completely emulate the Panthers 2003 season, Denver would have to win out, by finishing 11-5 and wining their division. That seems unlikely, but the AFC West crown is not yet out of reach. At 6-5, the Broncos are just one game behind the division leading 7-4 Raiders. Coming off an undefeated November run in which they defeated all three of their division rivals on the road in a four week stretch, the Broncos have built up confidence heading into December. The remaining five teams Denver will have to play include the Vikings (away), Bears (home), Patriots (home), Bills (away) and Chiefs (home). If the Broncos can win four of their remaining five and the Raiders lose at least one game in the same time period, Denver could be headed to the playoffs for the first time since the 2005 season. Foxball has won the Broncos five of their last six games. Only time will tell how much farther it can carry them. 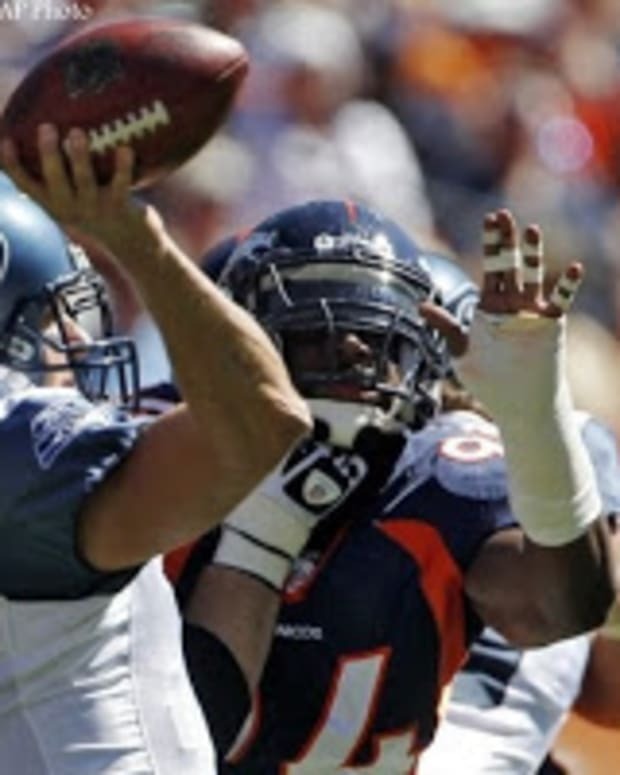 Denver Broncos Destined for a Winning Year in 2011? 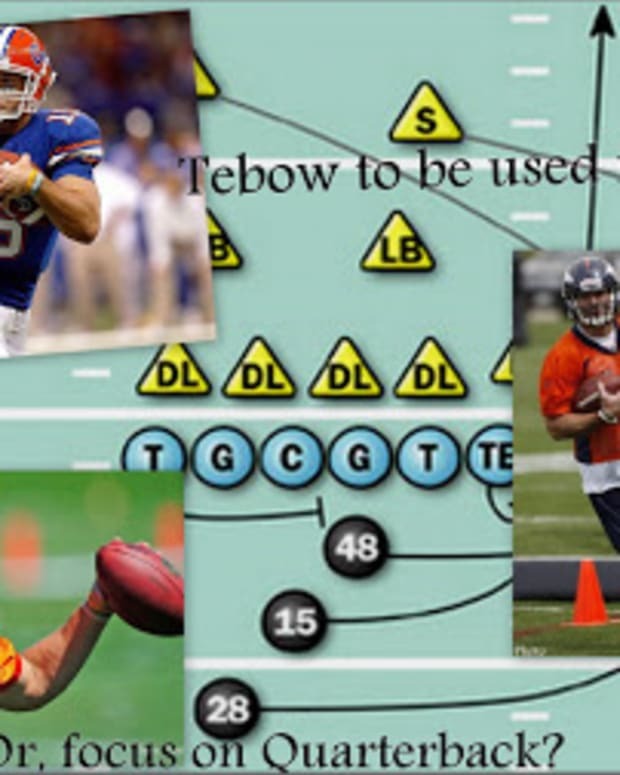 How Will Tim Tebow Fit in with the Denver Broncos?